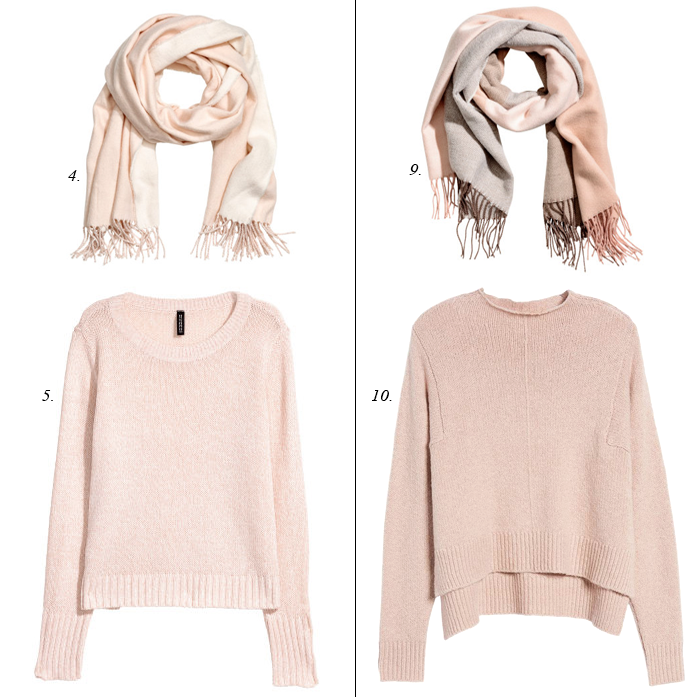 I cannot believe that blush sweater is only $13 - plus also comes in several other colors. The “splurge” sweater is also a great deal. And, both plaid scarves are actually under $25 - and would look great layered over the sweaters or with the leather jackets. 1. There is nothing more stylish than a faux leopard jacket for winter. 2. These are the cutest party pants - perfect for Christmas or New Year’s- and they are only $40! 3. Shaggy coats are a big trend and this one is under $60! 4. This red satin midi skirt is also perfect for the season - and it is a great price! 5. This satin blouse is only $25 - and comes in ivory, green, and rust! 6. These suede booties are under $60 and come in 7 colors. 7. These popular riding boots are 50% off. 8. This sweatshirt with a fun sleeve detail is only $33 - and comes in 4 different colors. 9. This comfy cardigan is currently 40% off. 10. This plaid dress would look cute belted and styled with some tall boots. I have the H&M sweater in orange and it fits really nicely. Love those scarves! Thank you for joining the Top of the World Style linkup party.